The tin is great – very Cath Kidston to me. Let’s see all your bling! wow…a lot of jealousy going on over here! 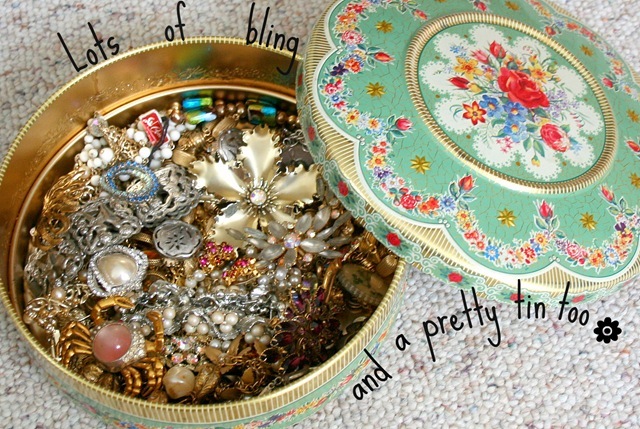 love old bling! Green, I am! With envy that is! What a great find! Isn’t it a great a feeling, finding great stuff to use!